As meal subscription services such as Blue Apron, Hello Fresh and Plated proliferate at lightning speeds, it begs the question whether the home chefs they’re cultivating will be dining out less and cooking in more. 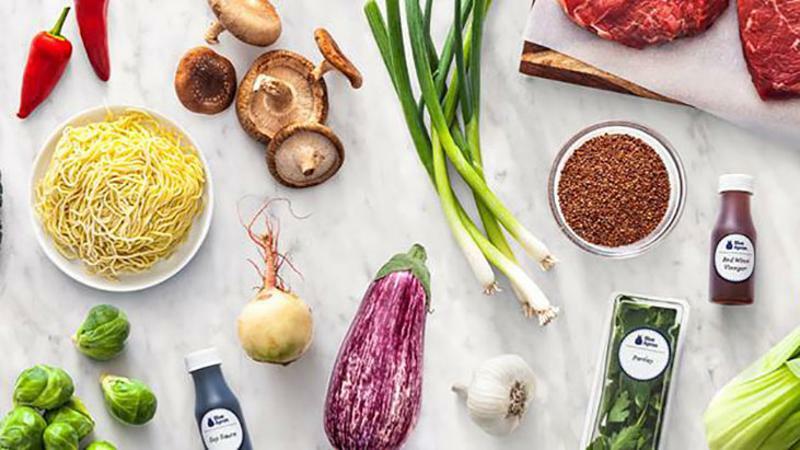 These services—which deliver fresh, pre-prepped ingredients (plus instructions) to be cooked by consumers at home—represented a $1 billion business in 2015, Technomic reports, projecting that U.S. sales alone will grow tenfold over the next five years. Whether meal kits will make a serious dent in restaurant dollars remains to be seen; however, 47 percent of consumers said they would reduce their restaurant takeout and delivery spending if they subscribed to a meal kit, according to Technomic. Thirty-seven percent said they would cut back on in-restaurant dining. Not to be outdone, some restaurants are launching their own meal subscription services. For example, the Meal Plan program offered by some outposts of health-oriented chain Muscle Maker Grill allows customers to choose up to four of the chain’s meals daily for five to seven days per week, available for pickup or delivery. And in February, fast casual Freshii debuted Meal Box, what it calls a “one-stop shop” for a full day of healthy eats. After fielding a number of customer requests asking about meal subscription, Freshii decided to give it a try. The chain began developing Meal Box last summer, then conducted a three-month test out of the its Toronto headquarters, says Andie Shapira, Freshii’s in-house nutritionist. After making some tweaks to the program, it rolled out to a majority of Freshii’s 200 locations. Customers choose from four different meal plans, to which they can subscribe for one, three, five or 30 consecutive days. The shortest term sets customers back $40; the one-month stretch is $1,050. Plans also can be tailored to customers’ dietary goals, such as eating “clean” or gluten-free, or building muscle. Each day’s preset menu contains three squares—such as a spinach, mushroom and cheese breakfast bowl and a Buffalo chicken salad—and two snacks. Those who order the 30-day plan have the option to customize their meals two days each week, Shapira says. The program—which is promoted via in-store signage, pamphlets, the chain’s website and a dedicated Meal Box sales team—is also providing an entry point for new customers. About 50 percent of Meal Box’s customers are Freshii regulars, while the other half are trying the chain for the first time. Though Freshii declined to share specifics about how the program is faring, it has a positive outlook. “We’ve had a really good response so far,” Shapira says.